§ 410.010 Title and Purpose. § 410.040 Jurisdiction and Procedure. § 410.050 Subdivision Design Standards. § 410.070 Minor Subdivision Review. § 410.080 Minimum Improvements Required. § 410.100 Street and Block Layout. § 410.110 Construction Standards For Roadways and Streets. § 410.120 Design Standards For Roadways and Streets. § 410.140 Lot Dimensions, Shapes and Position. § 410.150 Modifications and Exceptions. § 410.160 Dwelling Unit Display and Condominium Plat Procedure. § 410.170 Boundary Adjustment Procedure. § 410.190 Comprehensive Plan — Compliance. § 410.200 Variations and Exceptions. § 410.220 Completion of Construction. 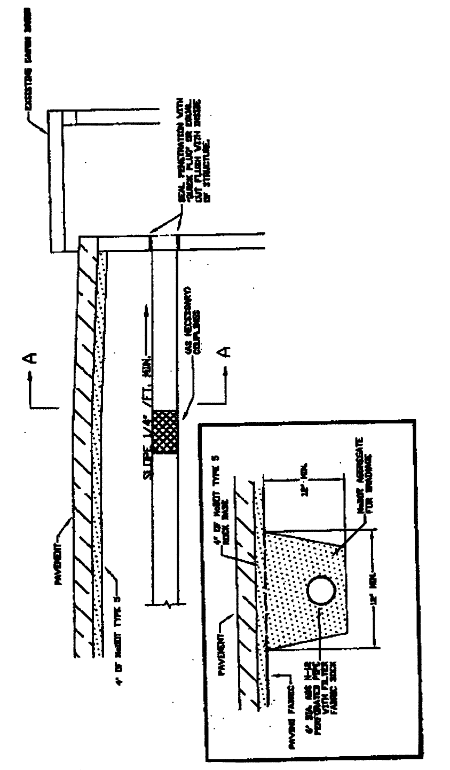 § 410.230 Record Drawings (As-Built Drawings). § 410.240 Maintenance and Supervision. § 410.250 Subdivision Governance of Residential Subdivisions — Required. § 410.260 Violation and Penalty. § 410.270 Changes and Amendments. Editor's Note — Ord. no. 918 §2, adopted May 1, 2008, repealed ch. 410 "land subdivision" and enacted new provisions set out herein. Former ch. 410 derived from CC 1984 §§22.010 — 22.110; ord. no. 491 art. I — XI, 9-12-1983; ord. no. 575 §1, 9-10-1990; ord. no. 636B §1, 11-14-1994; ord. no. 714 §1, 8-9-1999; ord. no. 811 §1, 12-14-2004; ord. no. 855 §1, 3-14-2006. Cross Reference — As to fee schedule, see Appendix A at the end of Title IV. Section 410.010 Title and Purpose. Section 410.040 Jurisdiction and Procedure. Section 410.050 Subdivision Design Standards. Section 410.070 Minor Subdivision Review. Section 410.080 Minimum Improvements Required. Section 410.100 Street and Block Layout. Section 410.110 Construction Standards For Roadways and Streets. Section 410.120 Design Standards For Roadways and Streets. Section 410.140 Lot Dimensions, Shapes and Position. Section 410.150 Modifications and Exceptions. Section 410.160 Dwelling Unit Display and Condominium Plat Procedure. Section 410.170 Boundary Adjustment Procedure. Section 410.190 Comprehensive Plan — Compliance. Section 410.200 Variations and Exceptions. Section 410.220 Completion of Construction. Section 410.230 Record Drawings (As-Built Drawings). Section 410.240 Maintenance and Supervision. Section 410.250 Subdivision Governance of Residential Subdivisions — Required. Section 410.260 Violation and Penalty. Section 410.270 Changes and Amendments. This Chapter shall be known, referred to and cited as the Subdivision Regulations of New Haven, Missouri. The purpose of these regulations is to provide for the coordination of streets within the subdivision with other existing or planned streets or with other features of the Comprehensive Plan of New Haven, Missouri; for minimum requirements of the preliminary and final plats; for minimum standards of physical improvements in new subdivisions; for adequate open spaces, for traffic, recreation, light and air and for distribution of population and traffic for the health, safety and general welfare of the community. The City of New Haven shall be exempt from the subdivision regulations contained in this Chapter with respect to any property owned and/or operated by the City of New Haven. A line on a plat between which line and a street no building or structure may be erected. The Comprehensive Plan made and adopted by the Planning and Zoning Commission, indicating the general locations recommended for the streets, parks, public buildings, land uses and all other public improvements. A minor street with only one (1) outlet and culminated by a turnaround. A street intended to serve as a major trafficway and designated as a major street in the Comprehensive Plan. A street intended to serve the local need of an area and not designated as a major street in the Comprehensive Plan. Any land improved or unimproved, or any portion thereof, shown on the last preceding tax roll as a unit or as contiguous units, which is divided into two (2) or more lots, plots, sites or other divisions of land for the purpose of offering for sale, lease or development, including resubdivision. "Subdivision" includes the division or development of residential and non-residential zoned land, including planned developments, whether by deed, metes and bounds description, map, plat or other recorded instrument and the dedication, opening or widening of any proposed or existing right-of-way for a public or private street. A subdivision of no more than two (2) commercial or industrially zoned lots or three (3) residentially zoned lots. It shall be unlawful for any person being the owner, agent or person having control of any land within the City of New Haven, Missouri, to subdivide or lay out such land in lots unless by a plat in accordance with the regulations contained herein. No lots shall be sold nor any plat recorded until such plat has been approved as herein provided. The subdivider shall submit a preliminary plat in accordance with the specifications contained herein. A preliminary plat shall first be submitted to the Planning and Zoning Commission for approval. After the preliminary plans are approved by the Planning and Zoning Commission in accordance with this Chapter, such preliminary plans shall be submitted to the Board of Aldermen for its approval or disapproval. Provide for an assessment guaranteeing such installations in accordance with this Article. Upon approval of improvement installations or arrangement therefor, the final plat shall be submitted to the Planning and Zoning Commission and Board of Aldermen in accordance with the provisions of this Chapter. Relation To Adjoining Street System. The arrangement of streets in new subdivisions shall make provisions for the continuation of the principal existing streets in adjoining areas (or their proper projection where adjoining land is not subdivided), insofar as they may be deemed necessary by the Commission for public requirements. The subdivider shall be required to construct certain existing or planned streets through or adjacent to the area that is being subdivided, whenever same is deemed necessary, to provide for local movements of vehicles or to enable adjoining property to be properly subdivided. Off-set streets should be avoided. The angle of intersection between minor streets and major streets should not vary by more than ten degrees (10°) from a right angle. Streets obviously in alignment with existing streets shall bear the names of the existing streets. All proposed street names shall be checked against duplication of other street names and shall be approved by the City of New Haven. The widths and locations of major streets shall generally conform to the widths and locations designated on the Comprehensive Plan. Residential subdivisions are strongly encouraged to have multiple access points to aid in public safety. Design Standards. The roadway and streets design standards are as set out elsewhere within this Chapter. The Commission shall confer with the subdivider regarding the type and character of development that will be permitted in the subdivision and may agree with the subdivider as to certain minimum restrictions to be placed upon the property. Deed restrictions or covenants should be included to provide for the creation of a property owners' association or Board of Trustees for the proper protection and maintenance of the development in the future; provided however, that such deed restrictions or covenants shall not contain reversionary clauses wherein any lot shall return to the subdivider because of a violation thereon of the terms of the restrictions or covenants. Where the subdivision contains sewers, sewage treatment plants, water supply systems, park areas, street trees or other physical facilities necessary or desirable for the welfare of the area and which are of common use or benefit and are not or cannot be satisfactorily maintained by an existing public agency, provision shall be made by trust agreement, made a part of the deed restrictions acceptable to any agency having jurisdiction over the location and improvement of such facilities, for the proper and continuous maintenance and supervision of such facilities. Parks, school sites, etc. Where an area being subdivided includes lands proposed to be used for parks or schools under the duly adopted Comprehensive Plan of the City and environs, the subdivider shall not plat such lands as a part of the subdivision plat and shall confer with the appropriate public agency regarding the time, method and appropriate compensation for the agency to acquire the land. If no agreement has been reached upon the acquisition of the area within two (2) years from the date of the submission of the preliminary plat, the subdivider may then plat the balance of the area. Easements along streams. Whenever any stream or important surface drainage course is located in an area which is being subdivided, the subdivider shall provide an adequate easement along each side of the stream for the purpose of widening, deepening, sloping, improving or protecting the stream or drainage course, to be utilized for open space or to contain a bicycle path/walking trail. Whenever any person desires to subdivide or develop land, he/she shall submit four (4) copies of the preliminary plat conforming to the requirements contained herein to the Planning and Zoning Commission and an eleven (11) inch by seventeen (17) inch sized presentation format, along with an applicable fee to cover the costs of review of the plats before submission of improvement plans or the final plat. Resubmittal of plats shall require the payment of an additional fee. Hearings required. A public hearing before the Planning and Zoning Commission and Board of Aldermen shall be required prior to action on any preliminary plat. Notice of such hearing shall be published at least once in a newspaper of local distribution and shall be mailed to all owners of property located within two hundred (200) feet of the subject property, such notices to be given at least fifteen (15) days in advance of the hearing. The location of present property lines, streets, buildings, watercourses, tree masses and other existing features within the area to be subdivided and similar information regarding existing conditions of land within two hundred (200) feet of the tract. Existing sanitary and storm sewers, water mains, culverts and other underground structures within the tract or immediately adjacent thereto. The location and size of the nearest water main and sewer or outlet are to be indicated in a general way upon the plat. The names and adjoining boundaries of all adjoining subdivisions and the names of recorded owners of adjoining parcels of unsubdivided land. The title under which the proposed subdivision is to be recorded and the name of the subdivider platting the tract. The proposed location and width of streets, alleys, lots, building and setback lines and easements. Contours with five (5) foot intervals based on U.S.G.S. datum to determine the character and topography of the land to be subdivided, but in no case shall the intervals be more than five (5) feet. Grades and profiles of streets and plans regarding the grades of proposed streets and the width and type of pavement, location, size and type of sanitary sewer or other sewage disposal facilities; water mains and other utilities, facilities for stormwater drainage; curb and gutter; and other proposed improvements such as sidewalks, planting and parks and any grading activity. A copy of the proposed subdivision restrictions shall also be submitted with the preliminary plans. Name of registered land surveyor and registered professional engineer. Prepared By Registered Land Surveyor. Every plat shall be prepared by a registered land surveyor duly licensed by the State, who shall endorse upon each plat a certificate signed by him/her setting forth the title of the owner of the land subdivided and the place of record of the last instrument in the chain of the title and shall cause his/her seal to be affixed on the face of the plat. Required Statement. Every plat or the deed of dedication to which such plat is attached shall contain, in addition to the registered land surveyor's certificate, a statement to the effect that "the above and foregoing subdivision of (here insert correct description of the land subdivided) as appears in the plat in question is with free consent and in accordance with the desire of the undersigned owners, proprietors and trustees, if any, shall be duly acknowledged before some officer authorized to take acknowledgments of deeds and, when then executed and acknowledged, shall be filed and recorded in the office of the Recorder of Deeds of Franklin County and indexed under the names of the owners of the lands signing such statement and under the name of the subdivision". Recording. Any owner or any proprietor of any tract of land situated within the corporate limits of the City who subdivides the same shall cause a plat of such subdivision, with reference to known or permanent monuments, to be made and recorded in the office of the Recorder of Deeds of Franklin County. No plat shall be recorded in the office of the Recorder of Deeds unless and until as provided for in this Chapter. No lot subject to this Chapter shall be sold unless first established by provisions of this Chapter. No building permit shall be issued for construction on a parcel or lot created in violation of this Chapter. After the preliminary plat has been approved by the Commission, it shall be submitted to the City Board of Aldermen for its approval or disapproval. Approval of the preliminary plat by the Board of Aldermen does not constitute an acceptance or approval of the final plat. One (1) copy of the approved plat, signed by the Mayor, shall be retained in the office of the City Clerk. One (1) signed copy will be given to the subdivider. The approved preliminary plat shall also be provided to the City in an electronic media format acceptable to the City. The purpose of this Section is to allow a review to be made of platted lots or other lawful parcels for the purpose of streamlining the review process; however, it is not intended that extensive replatting be accomplished by use of this Section. No more than two (2) commercial or industrially zoned lots or three (3) residentially zoned lots are permitted to use this procedure. Existing zoning shall not be affected by this procedure. A minor subdivision shall be accomplished by plat depicting the boundaries of the original lot(s) and of the additional lots. The minor subdivision plat shall be submitted to the Planning and Zoning Commission and Board of Aldermen and City Engineer for their review. The established fee, payable to the City of New Haven, shall be submitted with the minor subdivision plat. The final minor subdivision plat shall be submitted to the Planning and Zoning Commission and Board of Aldermen for their approval consistent with the final plat procedure contained elsewhere in this Chapter. Receipt of the signed copy of the preliminary plat is authorization for the subdivider to proceed with the preparation of the improvement plans and specifications for the following minimum improvements and with the preparation of the final plat. Prior to the construction of any improvements required or the submission of a bond in lieu thereof or to the provision for any assessment for such construction, the subdivider shall furnish the City Engineer all plans, information and data necessary to determine the character of said improvements along with an applicable filing fee to cover the costs of review of plans. These plans shall be examined by the City Engineer and will be approved, if in accordance with the requirements of this Chapter. Resubmittal of a plat shall require the payment of an additional fee. Following this approval, construction can be started or the amount of a bond determined or an assessment provided for. The subdivider files with the Board of Aldermen a surety bond, letter of credit, cashier's check or a certified check upon a solvent bank located in the State of Missouri conditioned to secure the construction of the improvements listed below in a satisfactory manner and within a period specified by the Board of Aldermen, such period not to exceed two (2) years. No such bond or check shall be accepted unless it be enforceable by or payable to the City in a sum of at least equal to the cost of constructing the improvements as estimated by the City Engineer and in form with surety and conditions approved by the City Attorney. The owner of a tract may prepare and secure approval of a preliminary subdivision plan of an entire area and may install the above improvements only in a portion of such area, but the improvements must be installed in any portion of the area for which a final plat is approved for recording; provided however, that truck sewers and any sewage treatment plant shall be designed and built in such a manner that they can easily be expanded or extended to serve the entire area. At all lot corners not marked by monuments. At all points where street lines intersect the exterior boundaries of the subdivision. At all intersection of curves and tangents along street lines. Where installation of iron/steel pins or pipes is not feasible or is impractical, some other permanent means of marking shall be used, e.g., embedded or prescribed marks in concrete streets, curbs or sidewalks. Streets. The design standards for roadways and streets are as set out elsewhere in this Chapter. Street improvements shall be coordinated with the City of New Haven and the Missouri Department of Transportation and be adequate to service the entire subdivision for both on-site and off-site improvements. Curb And Gutter. All streets shall have concrete curb and gutter and according to plans and specifications approved by the City. Stormwater Drainage. Adequate stormwater drainage system shall be provided including all necessary open ditches, pipes, culverts, intersectional drains, drop inlets, bridges and other accessory structures and improvements. Provisions shall be made to prevent any floodwater from backing up into said stormwater drainage system. Any natural drainage areas shall be improved where needed to accommodate the additional water flow. Detention basins shall be adequately maintained by the developer and/or subdivision trustees. The use of regional detention/retention basins to serve multiple developments, where appropriate, is strongly encouraged. Erosion Control Plan. An erosion control plan identifying specific control methods to be used during site development. The plan shall also include procedures to be implemented to prevent unacceptable levels of soil, rock and gravel being deposited on existing public streets and/or property via construction traffic. The developer shall install water lines and fire hydrants to a type approved by the City of a sufficient size to provide proper water pressure and volume for fire protection based upon the supply of water required by future expansion and development of the subdivision. Where a public water supply is reasonably accessible, the subdivider shall connect to such water main and provide a water connection for each lot of a type and size approved by the City. Where a public water supply is not reasonably accessible, the subdivider shall place on file with the Board of Aldermen a petition for future installation of the necessary mains and, if required, post a bond to guarantee the installation of said main and appurtenance when it is available. The subdivision shall be provided with a complete loop-type water distribution system adequate to serve the area being platted including a connection for each lot and appropriately spaced fire hydrants meeting the requirements of the City's Building Code and the appropriate fire protection district. The developer shall provide each lot with a State-approved system for the disposal of sewage. All sewer lines shall be of sufficient size to provide adequate sewage disposal, taking into consideration all future expansion of said subdivision. Such system and all connections shall comply with the regulations of the Missouri Department of Natural Resources and Missouri Clean Water Commission. Where an approved and adequate public or private sanitary sewer system is within one thousand (1,000) feet of the proposed subdivision, the developer shall connect with such system and provide adequate sewer line to each lot. If no approved and adequate sewer system is reasonably accessible, the subdivider shall petition the Board of Aldermen for future installation of sanitary sewer system and, if required, post a bond to guarantee the installation of said sewer system when available. If a privately owned and operated sewage treatment facility is proposed, it shall be approved by the State agencies having jurisdiction and shall be designed and operated to produce zero effluent. Street Lighting. Street lighting shall be provided by the subdivider to give adequate light. All lights shall be low- or high-pressure sodium or its equivalent, of at least six thousand eight hundred (6,800) lumens with a spacing of not greater than three hundred (300) feet between light standards. Street Name Signs. Permanent street name signs meeting current City standards shall be placed at each intersection or a fee to cover the cost of such a sign shall be paid to the City to cover the cost of installation of said signs. Underground Utilities. All utilities shall be placed underground unless approval to the contrary is given by the Board of Aldermen. Inspection. All improvements shall be inspected by the City from time to time during the various construction phases. Any deviations from plans must be approved in writing by the City Engineer. Maintenance. The subdivider shall not be relieved of his/her obligation to maintain said minimum improvements until the same are accepted by the Board of Aldermen in writing. Plans And Specifications. All plans and specifications for minimum improvements shall be prepared by and under the seal of a registered professional engineer. Gas. Each lot within the subdivided area shall be provided with a connection to the City gas system, if reasonably available. All connections shall comply with applicable regulations. A map of the proposed gas layout shall be submitted to the City prior to obtaining a construction permit. The construction permit may be applied for at City Hall and shall be accompanied by the applicable fee. Excavation Permits. An excavation permit is required for all excavations in new developments as well as previously developed areas of the City. These permits may be applied for at City Hall. Site Development Permits. A site development permit shall be required for any property developed in the City of New Haven. The site development permit shall be applied for at City Hall. At the time of permit issuance, a fee shall be paid to the City of New Haven according to the established fee schedule. The street layout of the subdivision shall be in general conformity with a plan for the most advantageous and aesthetically pleasing development of the entire neighborhood, including adjoining areas. Where appropriate to the design, proposed streets shall be continuous and in alignment with existing, planned or platted streets with which they are to connect. Dead-end streets. Dead-end streets of reasonable length (normally not over five hundred (500) feet) may be approved with a cul-de-sac where necessitated by topography or where, in the opinion of the Commission, they are appropriate for the type of development contemplated. Intersecting streets. Proposed streets shall intersect one another as nearly at right angles as topography and other limiting factors of good design permit. Four-way intersections shall be used for minor interior street wherever practicable and not in conflict with other applicable design principles and standards. Street jogs with centerline offsets of less than one hundred twenty-five (125) feet shall be avoided. Half-width street. Wherever there abuts the tract to be subdivided a dedicated or platted and recorded half-width street or alley, the other half-width of such street or alley shall be platted such that the ultimate right-of-way conforms to the minimum standards included herein. Block widths. Blocks shall have sufficient width to provide for two (2) tiers of lots of appropriate depth, except in the case of reversed frontages. Block length. The length of blocks shall be such as may be appropriate, in the opinion of the Planning and Zoning Commission, for the locality and the type of development contemplated, but shall generally not exceed one thousand two hundred (1,200) feet. Each lot shall be provided with access to a public street or highway to assure convenient ingress and egress to and from such lot and to provide adequately for the layout of utilities, garbage and waste removal, fire and Police protection and other services and to protect and further the public health and safety generally. Commercial and industrial developments shall not be directly accessed via a street from areas zoned "R-1a", "R-1b", "R-1c", "R-2", "R-3" or "M", unless special circumstances exist as may be determined by the City Engineer. Curb cuts. The location of all curb cuts, driveways, entrances or other street access points within City rights-of-way shall be as reviewed and approved by the City Engineer. Proposed curb cuts, driveways, entrances or other street access points shall be indicated on a site development plan or plot plan. The fee for curb cuts, driveways, entrances or other street access points review shall be paid to the City of New Haven according to the established fee schedule. A minor street is not designated as a "secondary thoroughfare" or "thoroughfare", per the Comprehensive Plan. The secondary thoroughfares and thoroughfares are designated in the Comprehensive Plan. The most recent traffic count information shall also be utilized in the classification of a street. The Board of Aldermen may adjust pavement thickness as necessary to accommodate a particular situation. Example situations may include construction staging for budget reasons or a new residential street that will be subjected to minimal construction traffic. Pavement requirements indicated herein are minimum thicknesses based on soils having a minimum California Bearing Ratio of 3.0. If it is determined that poorer soils exist, pavement depths must be adjusted as necessary. Subgrade soil shall be compacted to a minimum of ninety percent (90%) per the modified Proctor Test, ASTM Method D1557 for the top twelve (12) inches. Compaction shall be ninety percent (90%) for all fill areas below the top twelve (12) inches. Aggregate base shall be compacted at optimum moisture, plus or minus one and one-half (1.5) percentage points, to achieve a minimum density of ninety percent (90%) of maximum laboratory density, per ASTM D1557. Aggregate to be Missouri Highway and Transportation Department (MHTD) Type 5 or other approved type with a maximum of fifteen percent (15%) passing the No. 200 sieve. Transverse underdrains shall be installed under pavement at all inlets as designated by the City Engineer. See Figure "A" at the end of this Section for the Transverse Pavement Underdrain detail. Base asphalt to be MoDOT Type "I-B" or St. Louis County Type "X". Surface asphalt to be MoDOT Type "I-C", Commercial Mix, or a combination, as approved by the City Engineer. Concrete shall be six (6) bag cement mix and develop four thousand (4,000) psi strength in twenty-eight (28) days. Concrete streets to comply with joint and dowel bar requirements of St. Louis County. A concrete swale shall be provided at all street intersections that channel stormwater runoff. The surface asphalt shall not be applied until eighty percent (80%) of the subdivision lots are developed or as approved by the Board of Aldermen. All deteriorated pavement shall be repaired to the satisfaction of the City Engineer, before the surface asphalt is applied. Financial assurance shall be provided for the final asphalt work before final plat approval, per City Code. All street work performed shall be subject to inspection by City of New Haven or by agents or contractors retained by the City. Inspections shall be performed as may be appropriate. All phases of pavement construction shall be inspected. No construction may begin on any phase until the City has been properly notified. The contractor or developer's representative shall give a minimum twenty-four (24) hour notice of proposed work to take place. The developer shall have the responsibility to procure the services of a testing laboratory that must be approved by the City. All soil compaction requirements, as stated herein, shall be verified by said laboratory concurrent with grading and backfilling operations. The number of tests for each layer or lift of fill should be as determined by the testing laboratory. The pavement subgrade shall be tested, as a minimum, each one hundred (100) linear feet. For concrete pavement, three (3) concrete test cylinders shall be obtained for each seven hundred fifty (750) square yards or less of pavement. For each test series, test one (1) cylinder at seven (7) days and one (1) cylinder at twenty-eight (28) days; the remaining cylinder shall be a spare. Test the slump of concrete periodically and during making of concrete test cylinders. Determine air content at least twice a day during progress of work and during making of concrete test cylinders. The testing methods and acceptance criteria shall be per the latest edition of the Missouri Standard Specifications for Highway Construction. A job mix formula shall be submitted for approval by the City Engineer. Compaction testing shall be performed at the time of placement. The testing methods and acceptance criteria shall be per the latest edition of the Missouri Standard Specifications for Highway Construction. The test laboratory shall submit a written report to the City that verifies all grading operations have been performed per City specifications. A written report, indicating the results of the pavement tests, shall be submitted to the City. The testing laboratory is to give verbal notification to the City immediately of any unsatisfactory test results. Any damage of existing pavement during construction phase must be replaced prior to acceptance of the subdivision by the City of New Haven. Maintenance And Security For Improvements. The subdivider shall not be relieved of his/her obligation to maintain said minimum improvements until the same are accepted by the Board of Aldermen in writing; provided however, that upon acceptance of said minimum improvements by the Board of Aldermen, the subdivider shall be required to execute a maintenance bond, post a letter of credit or deposit cash pursuant to an escrow agreement with the City to ensure that all minimum improvements are installed properly and that such construction has been performed in a workmanlike manner. The subdivider agrees with the Board of Aldermen upon an assessment whereby the City is put in an assured position to maintain the improvements at the costs to the owners of property within the subdivision or a maintenance bond, letter of credit or cash escrow agreement shall provide that if within two (2) years from the date of acceptance of said minimum improvements by the Board of Aldermen said minimum improvements shall disclose poor workmanship in the execution of said work or it shall appear that defective materials were utilized therein, then said assessment, maintenance bond, letter of credit or cash escrow agreement shall remain in full force and effective, otherwise to be void. The maintenance bond, letter of credit or cash escrow agreement as required herein shall be in the amount of twenty percent (20%) of the estimated cost of improvements as determined by the City Engineer. The form and legality of the assessment agreed upon between the City and subdivider or maintenance bond, letter of credit or cash escrow agreement shall be approved by the City Attorney prior to acceptance thereof. Generally. All streets constructed in and along subdivisions shall be rigid pavement constructed in accordance with the City of New Haven standards contained herein. Alleys. Alleys, where platted, shall have a minimum width of twenty (20) feet. Deviations. Deviations from the standards may be warranted. All requests which result in a decrease in pavement requirements must be presented to the City Engineer in writing for consideration and subsequent approval or denial by the City Engineer before consideration by the Planning and Zoning Commission. All developers/builders shall be responsible for the repair of newly constructed City streets under all classifications of same regardless of type of pavement used and constructed under the above criteria as set forth herein for a period of time not to exceed twenty-four (24) calendar months, beginning on the first (1st) day upon completion of the subdivision. Said warranty/guarantee shall be either in the form of twenty percent (20%) escrow, maintenance bond or in an irrevocable letter of credit in an amount equal to same. Traffic shall be prohibited from traveling on newly constructed concrete streets for a minimum of seven (7) days following construction. Backfilling of curbs shall be completed within ten (10) days after completion of initial construction of streets. The City Engineer is authorized to promulgate rules and regulations, design criteria and standard specifications not inconsistent with the street standards herein contained. All dead-end streets shall terminate in a circular turnaround having minimum right-of-way diameter of one hundred (100) feet. Turnarounds shall not be required on dead-end streets which are less than two hundred fifty (250) feet in length and are planned to be extended in the future. Utility easements, where required, shall be a minimum of ten (10) feet wide (five (5) feet on each side of the lot line) along rear, front and side lot lines. Easements of adequate width shall be provided for open drainage channels, where required. Easements five (5) feet in width may be allowed for underground cable installations. The size, shape and orientation of lots shall be appropriate for the location and physical character of the proposed subdivision and for the type of development contemplated in compliance with the applicable zoning ordinance or regulations. Street access. Every lot shall abut onto a street unless approved by the Planning and Zoning Commission and Board of Aldermen. Width. Lots of residential purposes shall have sufficient width at the building setback lines to permit compliance with side yard or distance requirements of the applicable zoning ordinance or regulations and still be adequate for a building or practicable width. Double frontage. Except as otherwise provided herein, double frontage lots and reversed frontage lots shall be avoided. Side lot lines. Where practicable, side lot lines shall be approximately at right angles to the right-of-way line of the street on which the lot faces. Corner lots. Corner lots for residential use shall be platted wider than interior lots to permit compliance with the yard and setback requirements for the applicable zoning ordinance. Minimum lot size. Where not otherwise determined by applicable zoning ordinance or regulations, the minimum lot size for residential purposes shall be six thousand (6,000) square feet with a minimum frontage of fifty (50) feet, a minimum side yard of six (6) feet on each side, a rear yard of twenty (20) feet (except for accessory structures) and a front yard of twenty-five (25) feet. No utilities. Where public sanitary facilities and/or water are not accessible, the lot size shall be determined in accordance with other requirements of this Article. Pipeline setback. All lot lines depicted on plats for residentially zoned districts shall be a minimum of twenty-five (25) feet from the nearest existing gas pipeline and/or hazardous liquid pipeline, as built, measured parallel to and from the center of such pipeline. Resubdivision — Revision Of Lot Lines With A Plat Previously Approved And Recorded. In the case of a proposed revision of lot(s) line(s) within a plat previously recorded, an amended final plat showing said proposed revised lot(s) line(s) shall be presented to the City and shall follow the same procedures set forth in Chapter 410 "Land Subdivision Regulations". Lot Split. When a lot which is contained on a record plat which has been approved by the City of New Haven and duly recorded at the Franklin County Recorder's office, a proposed lot split of said recorded lot which lot split does not change any of the external lines of said recorded lot shall be presented to the Administrative Officer for review and if he/she is satisfied that such proposed lot split is not contrary to applicable regulations, shall within twenty (20) days after the plan was presented approve such lot split. The Administrative Officer may require the submission of a sketch, plat, record of survey and such other information as he/she may deem pertinent to its determination hereunder. This provision shall apply only to lots upon which a structure has been erected. Modification — Undue Hardship. In any particular case where the developer can show by plan and written statement that, by reason of exceptional topographic or other physical conditions, literal compliance with any requirement of these regulations would cause practical difficulty or exceptional and undue hardship, the Board of Adjustment may modify such requirement to the extent deemed just and proper, so as to relieve such difficulty or hardship; provided such relief may be granted without detriment to the public interest and without impairing the intent and purpose of these regulations of the desirable general development or welfare of the neighborhood and the community in accordance with the Comprehensive Plan and the zoning ordinance. Purpose. To provide a procedure whereby the construction of a display house or multiple-family display unit can begin prior to the recording of the record subdivision plat. Procedure. After receiving approval of a preliminary plat of a proposed subdivision from the Planning and Zoning Commission, the developer may submit a display plat to the Board of Aldermen for review and approval. There may be two (2) display houses or units for subdivisions proposing less than ten (10) lots or units. Developments containing at least ten (10) lots or units and not more than sixty (60) lots or units proposed shall be allowed three (3) display houses. For developments containing greater than sixty (60) lots or units, one (1) additional display house or unit for every twenty (20) houses or units proposed beyond sixty (60) will be permitted, not to exceed ten (10) display house or units. The display plat shall be filed with the Board of Aldermen and the City Engineer for review and approval. The established fee, payable to the City of New Haven shall be submitted with the display plat. A copy of the approved display plat shall be forwarded to the City Clerk's office for filing. The display plat shall become null and void upon the recording of a record plat which establishes that each display is on an approved lot. No part of the proposed subdivision may be conveyed, nor an occupancy permit issued, for any structure therein until the display house or units have been located on an approved lot. If initial construction of a display has not commenced within sixty (60) days, the approval shall lapse and the display plat shall be null and void. Display lots should be on an approved lot of record within one (1) year of the display plat's approval or such longer periods as may be permitted by the Board of Aldermen. If the record plat is not filed, the then owner shall remove or cause to be removed all display houses or units from the property. Failure of owner to remove the display houses or units from the property within one (1) year plus thirty (30) days of date of approval shall constitute the granting of authority of the City of New Haven to remove or cause the display houses or units to be removed, the cost of which shall be borne by the owner and shall become a lien against the property. Condominium Plat. Upon approval of the development plan for a proposed condominium project and after recording the record plat or easement and right-of-way dedication plat, the developer may obtain approval of individual units consistent with the site development plan. The condominium plat shall be consistent with all applicable State regulations. Plats for individual units shall be signed by the City Clerk and City Engineer for the City of New Haven. Purpose. To allow adjustments to be made to lot lines of platted lots or other lawful parcels for the purpose of adjusting the sizes of building sites; however, it is not intended that extensive replatting be accomplished by use of this Section. No additional lots shall be created by the boundary adjustment. The resulting lot or lots shall not be reduced below the minimum sizes and dimensions required by these regulations or the Zoning Code. A boundary adjustment may be accomplished by plat or by deed, but must include an adequate legal description of the boundaries of the original lots and of the adjusted lots. The boundary adjustment plat or deed shall be submitted to the Administrative Officer for review prior to its recording with the Recorder of Deeds of Franklin County. Lots In Non-Compliance. Boundary adjustments shall be allowed for lawful lots existing in non-compliance with minimum area, frontage and dimensional requirements of these regulations of the Zoning Code and Subdivision Regulations, provided that the resulting adjustment of lot lines does not increase the degree of non-compliance with the Zoning Code and these regulations. The final plat on reproducible mylar and seven (7) prints thereof, together with copies of any deed restrictions where such restrictions are too lengthy to be shown on the plat, shall be submitted to the Planning and Zoning Commission along with an applicable fee to cover the costs of review of the plat. The final plat is to be drawn at a scale of not more than one hundred (100) feet to the inch from an accurate survey and on one (1) or more sheets whose maximum dimensions are twenty-four (24) inches by thirty-six (36) inches. If more than two (2) sheets are required, an index sheet of the same dimensions shall be filed showing the entire subdivision on one (1) sheet and the areas shown on other sheets. The boundary lines of the area being subdivided with accurate distances and bearings. The lines of all proposed streets and alleys with their widths and names. The accurate outline of any portions of the property intended to be dedicated or granted for public use. The line of departure of one street from another. The lines of all adjoining property and the lines of adjoining streets and alleys with their widths and names. All lot lines together with an identification system for all lots and blocks. The location of all building lines and easements provided for public use, services or utilities. All dimensions, both linear and angular, necessary for locating the boundaries of the subdivision, lots, streets, alleys, easements and any other areas for public or private use. Linear dimensions are to be given to the nearest one one-hundredths (0.01) of a foot. The radii, arcs, chords, points of tangency and central angles for all curvilinear streets and radii for rounded corners. The location, type and size of all survey monuments and bench marks together with their descriptions. The name of the subdivision, a small sketch showing its general location and the scale of the plat, points of the compass and name of owner or owners or subdivider. The certificate of the surveyor attesting to the accuracy of the survey and the correct location of all monuments shown. Subdivision restrictions and trusteeships and their periods of existence. Should these restrictions or trusteeships be of such length as to make their lettering on the plat impracticable and thus necessitate the preparation of a separate instrument, reference to such instrument shall be made on the plat. Acknowledgment of the owner or owners to the plat and restrictions, including dedication to public use of all streets, alleys, parks or other open spaces shown thereon and the granting of easements required. Certificates of approval for endorsement by the Board of Aldermen. Approval or disapproval of final plat. The developer shall submit the final plat of the proposed subdivision which shall conform to the requirements as established within these subdivision regulations at least fifteen (15) working days prior to the regular meeting of the Planning and Zoning Commission at which the action is desired. Within sixty (60) days after the submission of a plat to the Commission, the Commission shall recommend approval or disapproval of the plat, unless the developer agrees in writing to an extension of this time period; otherwise, the plat is deemed approved by the Commission. The Planning and Zoning Commission shall forward the Board of Aldermen the Commission's recommendations pertaining to the proposed final plat. All plats shall be acted on by the Planning and Zoning Commission within sixty (60) days of plat submittal to the City. The Board of Aldermen shall, upon the receipt of the recommendations by the Planning and Zoning Commission, approve or disapprove the proposed final plat. Tracts and platted lots contained in previously approved record plats, where some activity toward ultimate development has occurred in accordance with the zoning and subdivision regulations which were in effect at the time of approval of said plat by the City and for which the City has issued a permit, may be developed as previously approved. Tax paid certificate. Each plat requires a certification issued by the authorized City and County Officials to the effect that there are no unpaid taxes due and payable at the time of plat approval and no unpaid special assessments, whether or not due and payable at the time of plat approval, on any of the lands included in the plat and that all outstanding taxes and special assessments have been paid on the property dedicated to public use. In a non-residential subdivision, omitted property is not developable and does not constitute a lot of record for any purpose under the Zoning Code until included in a record plat. After the final plat has been recommended for approval by the Commission, it shall be submitted to the Board of Aldermen for its approval or disapproval. Two (2) copies of "as-built" plans for all constructed improvements shall be submitted to the City along with the submission of the final plat or after the improvements have been accepted by the City. The subdivision layout shall conform to the official major street plan or other elements of the Comprehensive Plan. Whenever a tract to be subdivided embraces any part of a highway, thoroughfare or other major or collector street so designated on said major street plan, such part of such public way shall be platted by the developer in the location and at the width indicated in the plan. Whenever the application of the requirements contained in these regulations would result in real difficulties or substantial hardship or injustice, the Board of Adjustment may vary or modify such requirements so that the subdivider may develop his/her property in a reasonable manner, but so that at the same time the public welfare and interest of the City are protected and the general intent and spirit of these regulations preserved. Prior to starting any of the work, the developer shall make arrangements with the City Clerk to provide for inspection of the work sufficient, in the opinion of the City Engineer or his/her designee, to assure compliance with the plans and specifications as approved. A minimum of forty-eight (48) hours' notice shall be given for each phase of work (sanitary sewer construction or street construction). Fees for the appropriate initial inspections are covered in the cost of the site development permit. Supplemental Inspection. In addition to the required inspections heretofore specified, the City Engineer or his/her designee may make or cause to be made other inspections which, in his/her judgment, are reasonably necessary due to unusual construction or circumstances. The City Engineer or his/her designee shall have the authority to inspect any construction work in order to ascertain whether compliance with City Codes and specifications are being met and in order that he/she may properly enforce the rules promulgated by this Code. The inspections may include, but are not limited to, all other phases of construction. A fee may be assessed for each additional inspection. Extra Inspection. If by judgment of the City Engineer or his/her designee an inspection requested is not ready or accessible for inspection or in the judgment of the City Engineer or his/her designee the applicant has caused the City extra inspections other than the typical required, a fee may be assessed for each additional inspection or reinspection. The construction of all improvements required by these rules and regulations shall be completed within two (2) years from the date of approval of the final plat by the Planning and Zoning Commission unless good cause can be shown for the granting of an extension of time by authority of the Commission. A corrected reproducible print of "as-built" plans of all items dedicated to the City including, but not limited to, sanitary sewers, storm sewers, water distribution lines and any significant modification of streets shall be submitted to the City upon completion of these facilities prior to formal acceptance of any instrument of dedication of these improvements for maintenance by the City of New Haven. These plans shall be prepared by a qualified registered professional engineer. A copy of the recorded record plat shall also be filed with the City. Sanitary sewer lateral data, as constructed, shall be supplied to the City Engineer. For all improvement plans, as-built plans prepared using computer assistance, a digital copy of such information shall be submitted in a "Microstation DGN" or other computer readable format approved by the City Engineer. Where the subdivision contains sewers, sewage treatment plants, water supply systems, stormwater management facilities or other physical facilities that are necessary or desirable for the welfare of the area or that are of common use or benefit and which are not or cannot be satisfactorily maintained by an existing public agency, provision shall be made, which is acceptable to the agency having jurisdiction over the location and maintenance of such facilities, for the proper and continuous operation, maintenance and supervision of such facilities. The indenture of covenants and restrictions of the subdivision shall provide that there shall be at least three (3) subdivision managers and not more than five (5) subdivision managers. The indenture of covenants and restrictions of the subdivision shall provide that when title to fifty percent (50%) of the lots depicted on the preliminary plat of the subdivision are transferred to owners other than the developer, that within ninety (90) days thereof at least one (1) member of the subdivision managers shall have been elected by the lot owners who are not the developer. The indenture of covenants and restrictions of the subdivision shall provide that when title to ninety percent (90%) of the lots depicted on the preliminary plat of the subdivision are transferred to owners other than the developer, that within one hundred eighty (180) days thereof at least two (2) of the members of the subdivision managers shall have been elected by the lot owners who are not the developer. The indenture of covenants and restrictions of the subdivision shall provide that when title to one hundred percent (100%) of the lots depicted on the preliminary plat of the subdivision are transferred to owners other than the developer, that within thirty (30) days thereof all members of the subdivision managers shall have been elected by the lot owners who are not the developer. The majority of the lot owners other than the developer. There shall be only one (1) class of members of subdivision managers. Each subdivision having an indenture of covenants and restrictions shall assess a fee sufficient to cover the cost of enforcement of said covenants and restrictions. Formal written demand has been made upon the person(s) or entity(ies) allegedly not in compliance with the covenant or restriction, by which demand was made that such person(s) or entity(ies) come into compliance with the said covenant or restriction within a specified period of time, not less than ten (10) days in length, but that the said person or entity has failed to comply with the demand. This trust account shall automatically expire and unexpended sums remaining in the trust account shall be paid over to the subdivision managers at such time as all subdivision managers are elected by the lot owners who are not the developer. Applicability And Non-Applicability. This Section shall pertain solely to subdivisions where a preliminary plat has been filed subsequent to March 1, 2008. This Section shall not apply to any condominium hereinafter established under the provisions of Chapter 448, RSMo. Plat Approvals And Building Permits. No final plat of any part of any subdivision shall be approved by the City of New Haven unless the minimum requirements of this Section are contained within the indenture of covenants and restrictions pertaining to such final plat. No building permit shall be issued to any developer by the City of New Haven for improvements on a lot in the subdivision unless all of the provisions of this Section are contained in the covenants and restrictions and developer is in full compliance with such covenants and restrictions. No other inquiry or demands shall be made by the City of New Haven, other than to insure compliance with the minimum requirements of this Section. Whoever, being the owner or agent of the owner of any land located within the City of New Haven, knowingly or with intent to defraud transfers or sells by reference to or exhibition of or by other use of a plat of subdivision of such land before such plat has been approved by the Board of Aldermen shall forfeit and pay the penalty of not more than one hundred dollars ($100.00) for each lot so transferred or sold or agreed or negotiated to be sold and a description by metes and bounds shall not exempt the transaction from such penalties. A contract of sale requiring conformity with this Chapter may be entered into. Any regulations or provisions of this Chapter may be changed and amended from time to time by the Board of Aldermen, provided however, that such changes or amendments shall not become effective until after a study and report by the Planning and Zoning Commission and until after a public hearing has been held, public notice of which shall have been given in a newspaper of general circulation at least fifteen (15) days prior to such hearing. The provisions of this Chapter are declared to be severable and if any Section, sentence, clause or phrase of this Chapter shall for any reason be held to be invalid or unconstitutional, such decision shall not affect the validity of the remaining Sections, sentences, clauses and phrases of this Chapter but that they shall remain in effect.